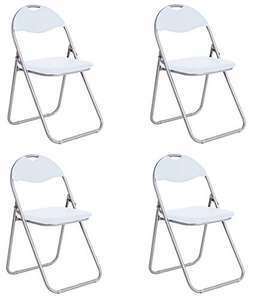 Cracking price for a set of 4 folding chairs. Cheapest it has ever been! If you have Prime that comes to £4.50 per chair. Great for if you are having lots of people over and need some temporary chairs that can be stored away! Cracking deal. Have some heat. Great deal ( if you need 4 ) at least a tenner elsewhere for one. Terrible weapons, no matter how many times I hit people on the head they just keep on getting back up.